Supreme Court Makeup is not Changing! Comments Off on Supreme Court Makeup is not Changing! I am not sure what has become of the Democrat Party nationally. Ever since the election of President Trump, they have been on full tilt. Upon being elected, he chose Neil Gorsuch to replace the late Antonin Scalia to which the liberals cried foul, saying we should have seated Merrick Garland, an Obama nominee. Interesting, because all I heard about was we need to confirm Garland, nary a word about the makeup of the court. Oddly enough the makeup would be 5-4 liberal as opposed to the current 5-4 conservative majority. So now Anthony Kennedy, the “swing justice”, has decided to retire and enter a different stage of his life, and Trump selected Brett Kavanaugh to replace him. 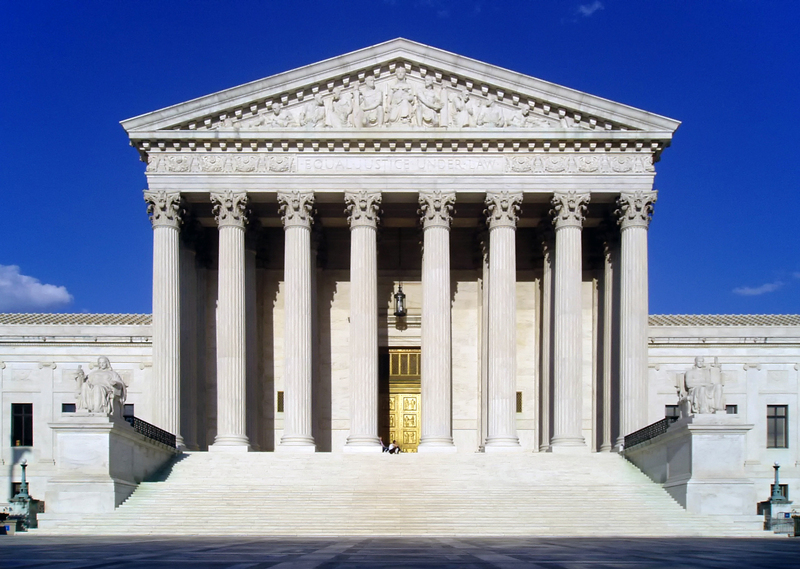 Kavanaugh comes from the circuit court that interestingly has had the most judges selected for the Supreme Court. Also, he is Ivy league educated and was confirmed by a Senate majority with 57 in favor, versus 36 opposed. No doubt Kavanaugh is a conservative and had done some past work with Ken Starr regarding the impeachment of Bill Clinton, and the Florida re-count in 2000. Even before he was put up for nomination by the President, the Democrats went nuts. 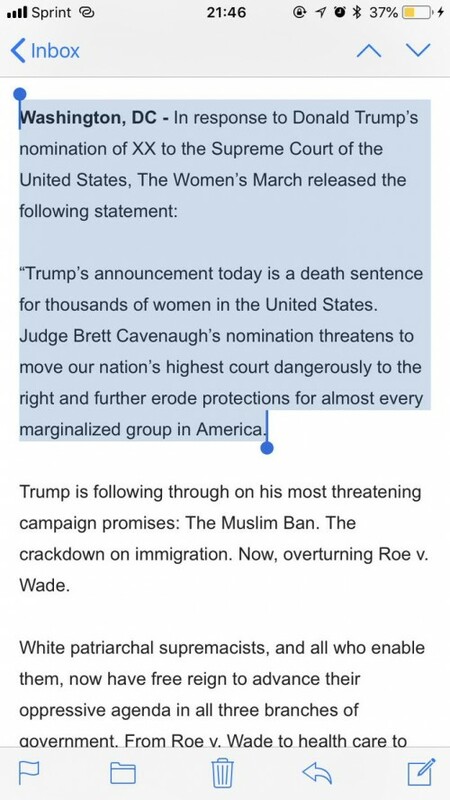 A pro-abortion group (or anti-life I guess) put out a press release but never replaced the *** with the name Brett Kavanaugh, this goes to show you no nominee was good enough. Trump once again stayed true to his word, and his campaign promises choosing a judge from his list of 25 names he felt were best to do the job. Isn’t that refreshing for once? A politician keeping his word? Nice work President Trump. Also, very smart to get the ball rolling on this quickly as we have an election coming up in November that could perhaps decide control of the Senate. 10 Democrat senators are up for re-election in states Trump won; 7 in states he won handily. Now to the Democrat’s main argument that the makeup of the Supreme Court is changing, this is entirely false. The last few rulings signify this; we had a redistricting ruling, the Janus ruling, and immigration where Kennedy sided with the more conservative majority. The makeup of the court is not changing at all going from Kennedy to Kavanaugh, except perhaps on social issues; but I don’t think I would go that far. The point I’m trying to hammer home is there will always be a swing vote; once it was Sandra Day O’Connor, then it became Kennedy, next it will be John Roberts, etc. I still score the judge’s political leanings as 5-4 conservative leaning. If I were in charge of the Democrats, well first thing I would do is hang myself, if that didn’t suffice, then I would say vote your states and focus on re-election. Kavanaugh is qualified and we will need all hands-on deck should Ruth Bader Ginsburg’s health fail. 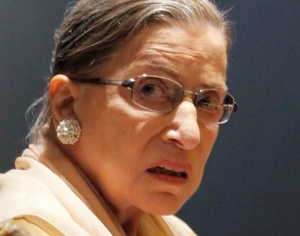 In any measure that matters, Ginsburg is now the swing justice. If something were to happen to her, that’s when the fight should happen. The Democrats could be staring at a 6-3 minority for a generation. Even worse, should Trump secure a 2nd term, Thomas could retire, and if he does you could have a 6-3 edge, but with the oldest judge being 70-year-old John Roberts. Yeah, scary, once again a generation or two will grow up under a conservative Supreme Court! Most importantly the reason I supported Trump is verified daily, he has the Democrats running scared constantly. Trump is the total opposite of Barack Obama. Just look at how frazzled they are; literally they are reduced to attacking Mr. Kavanaugh’s first name. They are mocking the name “Brett” saying it’s a frat boy name. Yes, you read that right, his first name, by the way not chosen by him, given to him by his parents! That is the new level to which these bozo’s have decided to stoop too. Additionally, I love the idea of these Democrat aligned super PAC’s spending money telling sitting incumbent Democrats not to vote for Kavanaugh and to resist, even if it means losing your seat in November, you can’t make this stuff up. Blog Father, I don’t know about you, but I’m getting tired of all this whining!